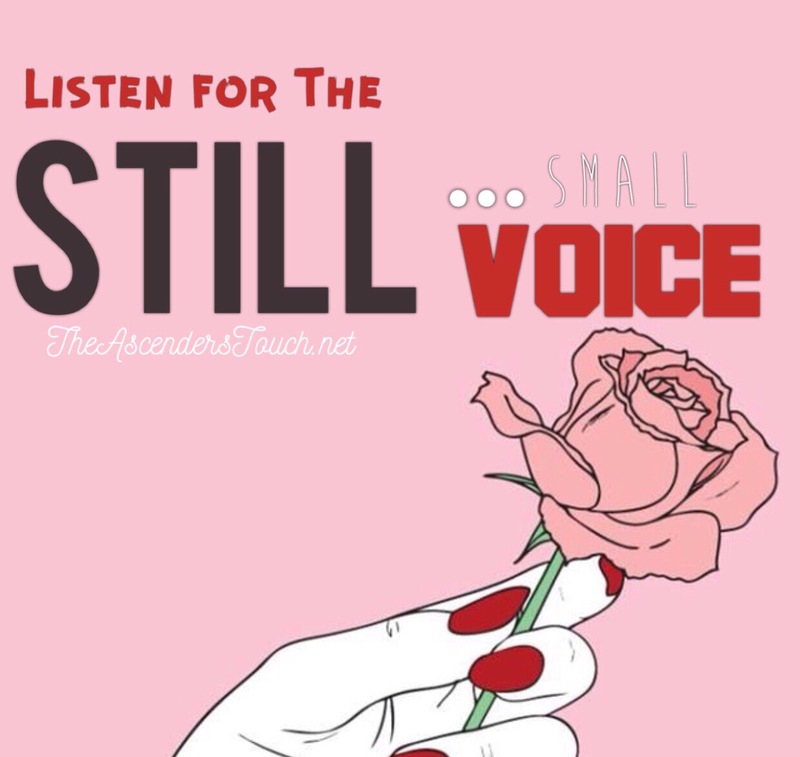 Devotional: Listen for the Still, Small Voice. Good Morning Everyone! Last night I stumbled upon this old excerpt from Joyce Meyer called “Listen for the Still, Small Voice.” She a few pointers on how to listen for The Lords Voice. “To find peace in our lives, we simply need to obey the promptings God gives us each day. A prompting is a “knowing” deep down on the inside, telling us what to do. First Kings 19:11-12 refers to this knowing as a still, small voice. A prompting isn’t a whack on the head with a hammer! In 1 Kings, the Lord didn’t use the great and strong wind, the earthquake or fire to prompt Elijah. His voice came to Elijah as a sound of gentle stillness and a still, small voice. A prompting doesn’t even have to be a voice at all. In fact, God often gives direction by speaking to your heart rather than to your ears. If we’ll simply learn to listen to God and do what He says, we’ll discover that things will go well for us. No matter what the situation, we need to listen to God and obey His voice. You may not understand the reasons that God is asking you to do certain things, but as you listen to His voice and obey His direction, you can experience a peaceful calmness. So listen up! Posted in AscendersTouchTagged anxiety, Bible, Church, devotional, God, inspiration, Jesus, Joyce MeyerBookmark the permalink. Amen! Thanks for sharing this! Great post God speaks in so many ways. It’s putting away all the distractions so we can hear that’s hard for all of us at times I feel.